Their main focus is creating a variety of wines including reds, whites, and fruits arranging from grapes, raspberries, blackberries, and marionberries. The Olalla Vineyard & Winery prides themselves in the makings of wines which are as naturally made as possible with minimal interference. The fermentation process brings a traditional approach to its wine making, using an Italian Clay Amphorae. Purchase a bottle and enjoy your glass of wine during one of their Musical events in the loft full of singing and mingling. 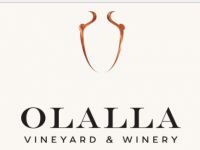 These public events are lasting from June through September, you’ll be able to find the updated dates, times, musicians, and artists of these events at the Olalla Vineyard & Winery webpage, events are typically on Friday nights and Sunday. To reserve the winery for a private indoor or outdoor function please call 253-851-4949.